Marilyn: – This sauce has a beautiful burnt orange color, with a lovely thick but not gloppy texture. There is no separation on the plate, and it adheres to the spoon perfectly. Brian: – With a slightly chunky consistency, this sauce is surprisingly fresh and pungent. Among the bits of peppers and fruit you will see the ginger as well. Marilyn: – This sauce has a warm flavor that I believe comes from the ginger. Though that flavor is not predominant (i.e. you really can’t taste the ginger), the subtlety of the essence of ginger lingers. This is not as sweet as you would expect it to be considering all of the fruity ingredients. I would prefer a little less of the vinegar up front, as that tends to acidify the sauce and add a little more bite than I like in my hot sauce. 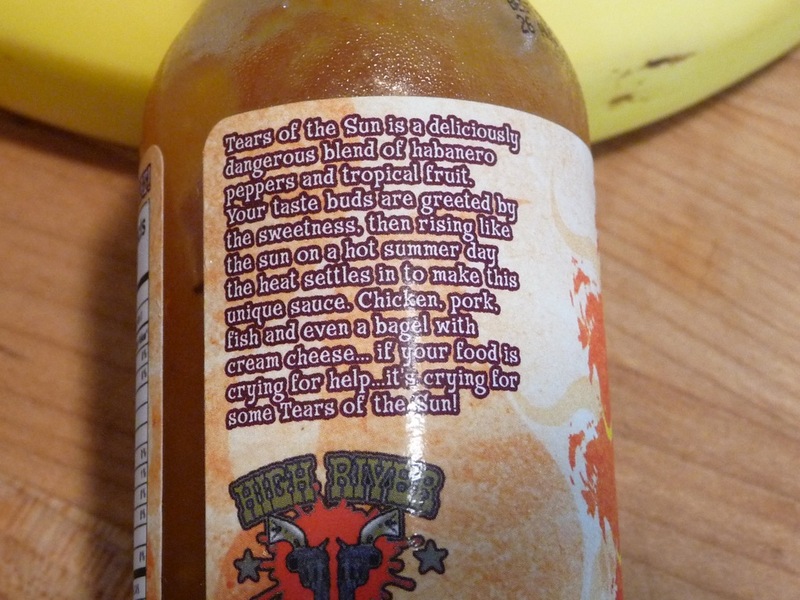 But for only the second product in the High River stable of hot sauces, I have to say “well done”! Brian: – It’s fruity, spicy, and zesty. Quite different from almost any other sauce I’ve tried that attempts to pair the many fruits included along with some sweetness from brown sugar with habanero peppers. The ginger adds a nice pulp and flavor too. Curiously, the crushed red pepper at the end of the ingredients is barely noticeable. Marilyn: – This is not the hottest of sauces I’ve tried, but then again, heat is secondary to flavor. 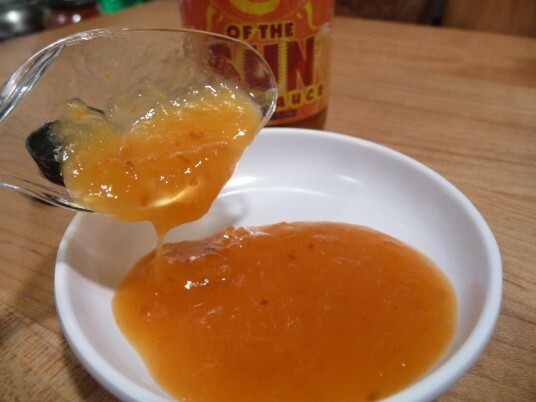 The orange habanero contributes a very pleasant lingering of heat that dissipates after a few minutes. Flavor triumphs heat, in my opinion. Brian: – A light front of the tongue heat only lasts a minute or two. The big taste is the bright fruit flavor, and the habanero heat on the tongue. The fresh, mild heat is short lived. Marilyn: – I love the creativity that went into this label. You have the Sun in a very classic motif, with the tears as flames on the face. I would like to see more contrast on the colors to make this sauce really stand out on a shelf (which is how most folks decide which hot sauce to buy). 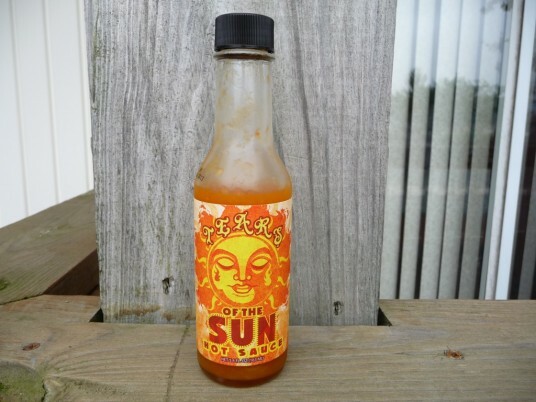 Brian: – While I love the Sun graphic, the overall impression is of a pale label. The word “Tears” looks like “Fears” because of the font. And speaking of fonts, good luck reading the “Story” and “Ingredients” on the back label… the font is white with a black outline on a yellow background. The back label is incredibly hard to read, and if I were re-doing the label it would be my first assignment… fix the fonts. Marilyn: – I think Steve Seabury of High River Sauces is going to be a huge player in the hot sauce world. He has great ingredients and a true understanding of what it takes to make a truly great sauce. Back off on the vinegar, punch up the colors to make the sauce stand out on the shelf, and you will see his sauces in stores around the country! Brian: – After first tasting the sauce straight up, we poured some on our tacos. This was a very unusual use of a pineapple habanero sauce I have to admit, but somehow it really worked. It really added a new twist to the meal. I am very pleased that Steve created this blend of sauce. It’s a winner to me! High River Sauces was started by music industry veteran, food junkie and Heavy Metal Cookbook author Steve Seabury. His cookbook titled Mosh Potatoes (Simon & Schuster) is a collection of recipes from the biggest bands in Hard Rock & Heavy Metal. While putting together the cookbook Seabury found that his passion for food was shared by many of his favorite icons. He wanted to bring his shared passion of food and music to the masses. HighRiverSauces has been formed out of this passion. Each bottle of sauce will be cranked up to 11 to give your taste buds that true Rock & Roll explosion. So fire up that grill, put the beers on ice and crank up those tunes. Great review you both! I love how in depth you go. Steve is sending me out a sauce this week and I can’t wait to devour it! Thanks Derrick. I think you’ll be surprised and happy with it. WOW. Thank you so much for the amazing feedback on the sauce and about my little start up. You guys rock so much. Your advice and insight about the business has helped me out so much. I have so much respect for the 2 of you. Thanks again for the continued support and everything you guys do to help promote the fiery food industry!! We enjoyed tasting and reviewing your sauce, Steve. And we support you 100%. Marilyn and I think you are going to be very successful. Can’t wait to read your thoughts on it Scott. I do think you and I differ in our preferred tastes. And I like that. Man, that stuff looks good! Gonna have to get me a bottle! This is my flavor more sauce rather than kill you with the heat. It does have punch though. Chris and I wanted to make it the 50/50 blend with heat and flavor. Thanks again for the review. I like reading them. 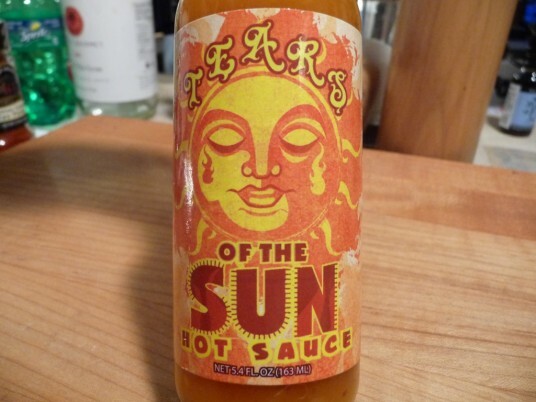 Great Hot Sauce! What makes it so special is the blend of the peaches, Mango and Pineapple! The fruit made it unique and has just the right amount of kick! Brian and Marilyn – great review, as always… and I think this is one habanero sauce I should try. I’m normally a little shy about this particular pepper… but this one sounds like it might be a winner! Kevin, there was a time when I would’ve agreed with you. Up until only a year ago, I steered clear of habanero sauces. I feel that once upon a time they were very one-dimentional. Habbys, vinegar, salt. Searing heat with no flavor, except for the chile itself. But now hot sauce mfgs are getting very creative and using so many other ingredients along with the habanero. And this particular one is a great start for anyone wanting to revisit a habby sauce. I bet this would be great in a sauce for grilled chicken. I’m sure I’d have to wait until the last few minutes to sauce the chicken so the fruit sugars don’t burn. Good review but the hot sauce is the creation of Chris Caffery, guitarist and musician for Savatage, Trans Siberian Orchestra and other individual projects … not the creation of Steve Seabury. Only distributed by Seabury’s company.